Hey guys, how are we all? Today I am bringing you another collection from Yankee Candle, I will forever feature the best Yankee Candles on my blog as they are always a firm favourite with you lot and it gives me an excuse to keep trying new candles. This time I am bringing you the lovely Warm Summers Nights range and with it being summer I thought it would be the perfect time to feature them. There are four candles in the collection but I am only featuring three of them today. The three I am featuring are Dreamy Summer Nights, Sunset Breeze and Flowers In The Sun. You can also get a fourth called Passion Fruit Martini. I hope you enjoy this review and let me know which your favourite is below. Also as you have probably got from previous reviews I am terrible at describing so good luck with understanding me! 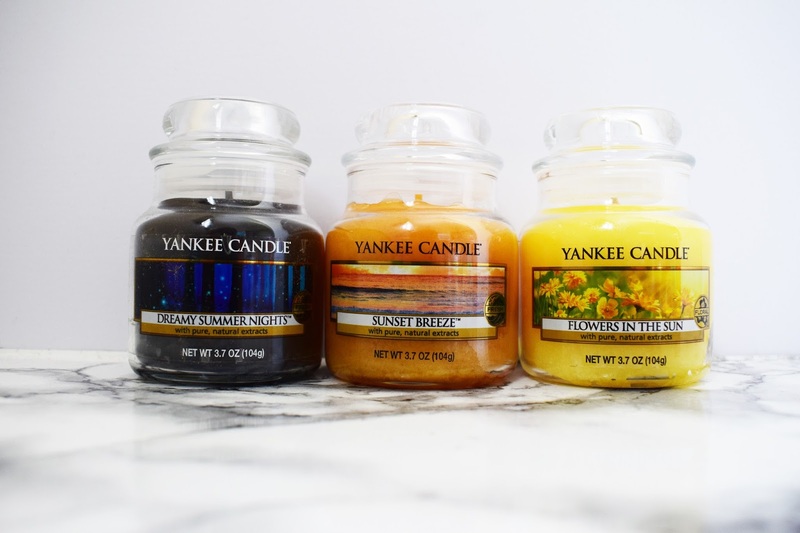 If you want to read some previous Yankee Candle reviews I have written about the Riviera Escape, Pure Essence and the Easter Range. A beautiful calming fragrance which is perfect for relaxing after a long day. An underline scent of vanilla with a sweet and calming smell throughout. 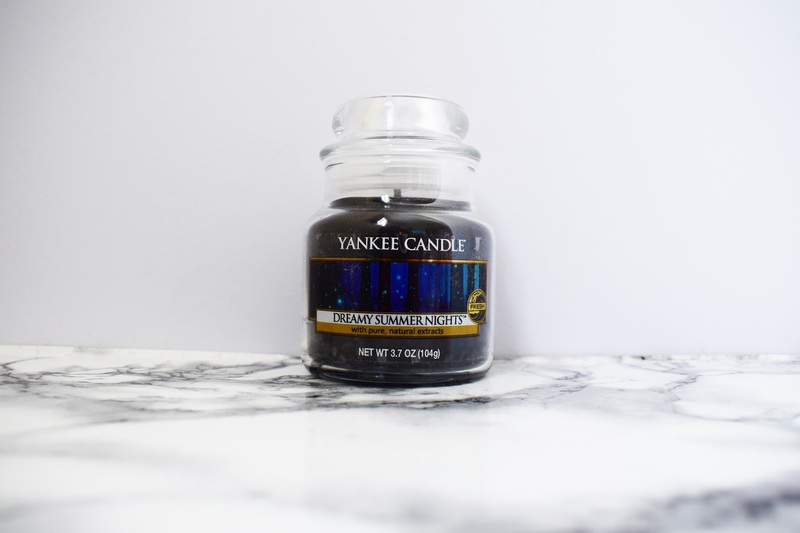 Yankee Candle say: "A relaxing blend of vanilla bean, heliotrope and a hint of woodiness - it spreads the subtle magic of a warm night in soft bloom." This candle is a seriously good gift for anyone who enjoys the more background candles as opposed to the strong in your face ones. Not too sweet and in your face, the perfect amount of vanilla for a good old relaxing time. Strolling along the beach in the evening with the wind through your hair, a refreshing scent for those who love the smell of a sunset breeze. Not overpowering at all. 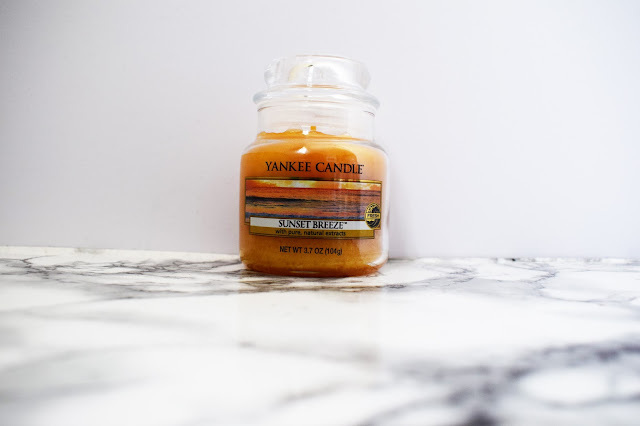 A beautiful tropical smelling candle, perfect for freshening up any room and giving those summer vibes all year round. The smell of mango and peach come out in this candle and leave me craving more. One of my faves out of the three, a super lovely smell of orange comes through. I love the feeling it gives you, this is summer. 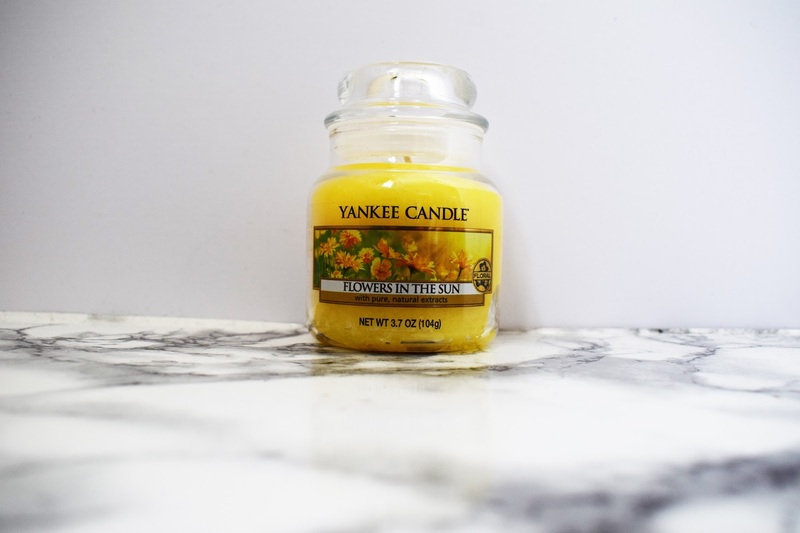 A perfect floral scent for any floral lover, the candle reminds me of a love child of flowers and fruit. Smells lush and not overpowering at all, perfect for those who love a background candle as opposed to an in your face one. Dear Outfit, We Need To Talk. The Truth About FOMO | Lets Talk.